BELOVED KEALA, Ellen Ke’alalipoa Marie Kinimaka Senkus, age 66, completed her circle of life and has been called to her eternal home Feb. 5 2019. Married 40 years to Richard, soul mates 45 years, lived with their "furry family" Buddy, Lroc, Mele, Tiger. the Senkus Ohana, sisters Amelia, Greta, & brothers Tony, Eric, are grateful for the comfort expressed by so many, mahalo. 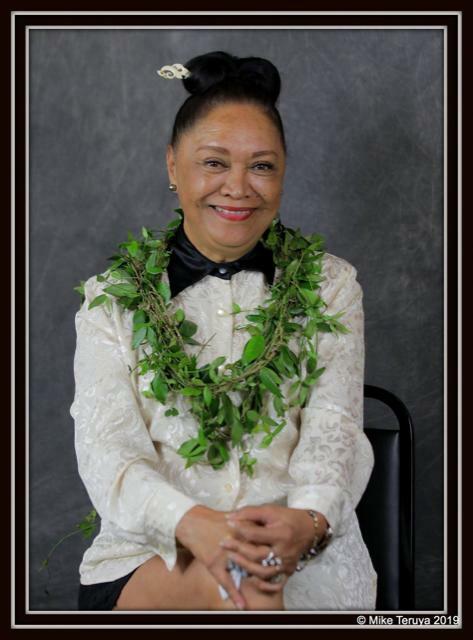 Keala, “Aunty Keala” lovingly remembered as a renown distinguished Kumu Hula, dancer, entertainer, musician, and successful restaurant owner, touched and blessed many innumerable lives. A memorial service will be held on Saturday, March 30, 2019 from 9:00 am to 1:00 pm at Smith’s Tropical Garden’s. Friends welcome.